Embedding Google Analytics, among other code snippets, in Sitejet is really easy. Anything that needs to go into the webpage's <head> can be implemented in our "Website Settings" window ([CTRL + ALT] + [E]) under the SEO/Meta Tab. As the name suggests you can enter all the relevant Meta information about your project here, be it Title, Keywords or a short Description. More information on SEO will be covered in another article. Our main point of interest is the textarea " Meta tags:". 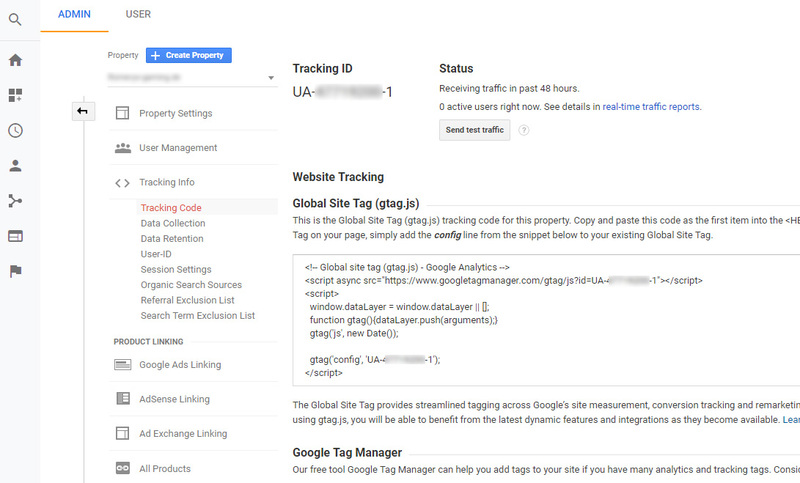 Here we can paste in the Google Analytics Code which can be found in your Google Analytics dashboard under Management > Tracking-Information > Tracking-Code. Make sure to get the TRACKING_ID from your Google Analytics Dashboard and to complement your privacy declaration accordingly.